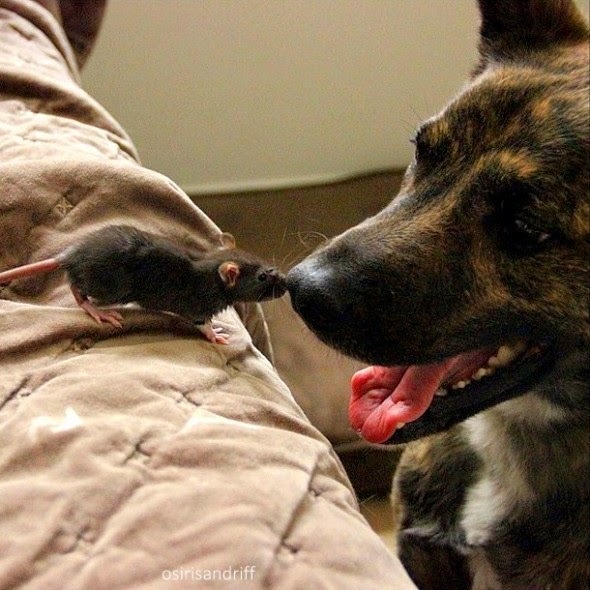 Ok, so we all know that unlikely animal friendships are more likely to happen than you might think, but this mismatched pair is one of the strangest and cutest relationships we've ever seen. 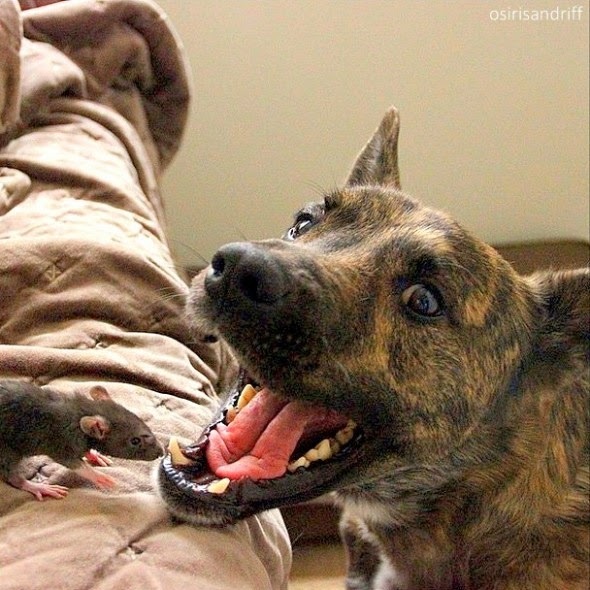 That's right, somewhere in Chicago a 3-year-old Dutch Shepard therapy dog named Osiris is happily playing with a 3-month-old pet rat named Riff Rat. 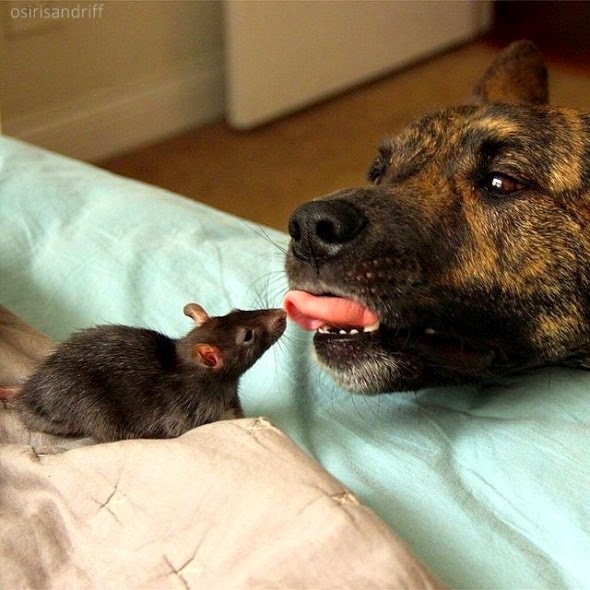 Street rats have terrible reputations in urban areas, leading many to write off the idea of pet rats entirely as unsanitary and incomprehensible. 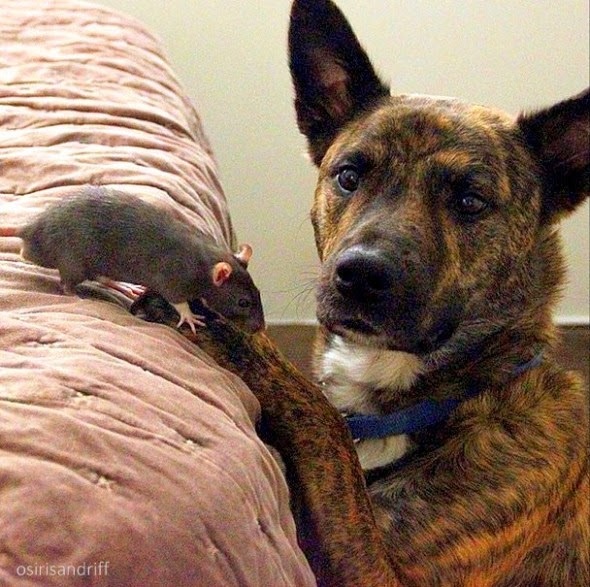 However, breeder-bought pet rats, like Riff Rat, are actually pretty sensible pets for cramped city apartments. Their cages don't have to take up much floor space (most owners build their cages vertically, not horizontally), they spend most of their day cleaning themselves, and they keep themselves plenty occupied with cheap materials like cardboard tubes and empty tissue boxes. 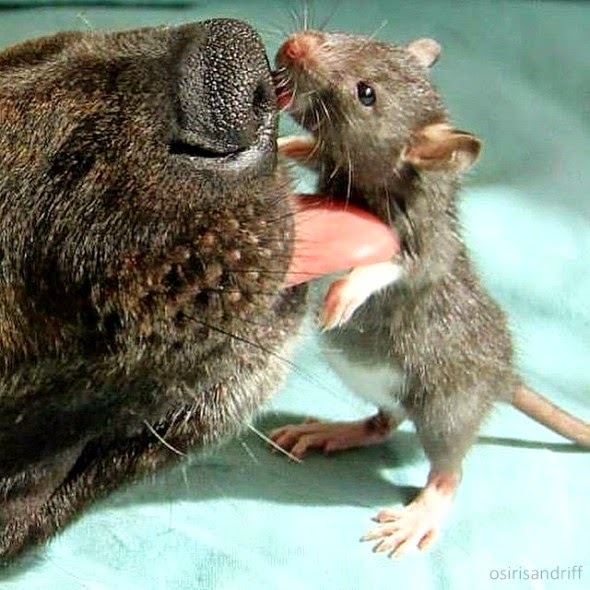 Riff Rat and Osiris have proven themselves to be one of the most affectionate and trusting pairs ever caught on film—in several shots, Riff is shown placing almost his entire body inside Osiris's mouth so that he can clean his pal's teeth. 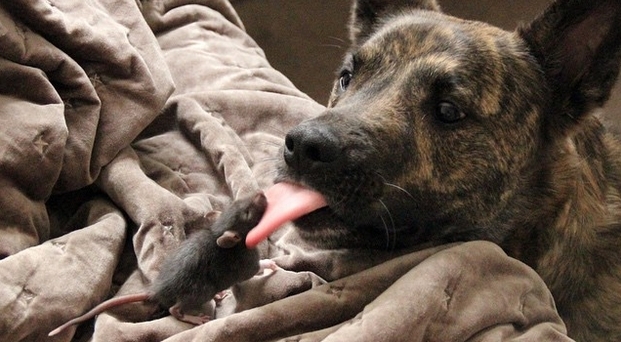 They snuggle, they play, they lick each other's faces—what's not to love? 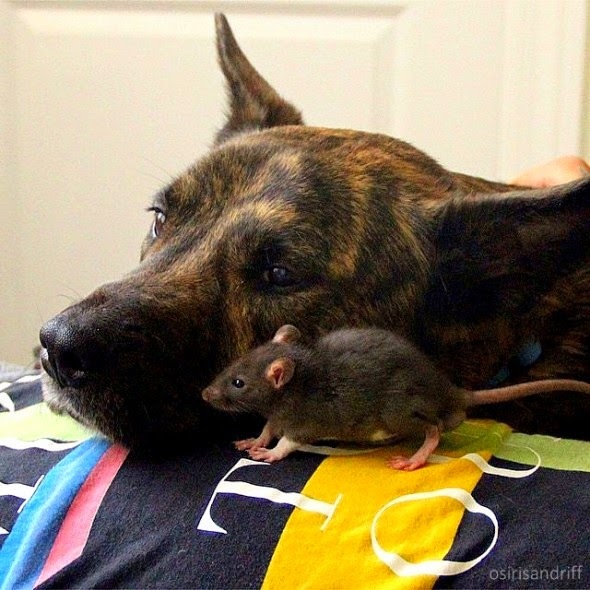 Responses to "This Rescued Pet Rat And Dog Are The Best Buddies Ever"
Rats are so damn smart and have a family mentality. Make great pets, just remember, smart means getting bored so keep them entertained or they will get away. 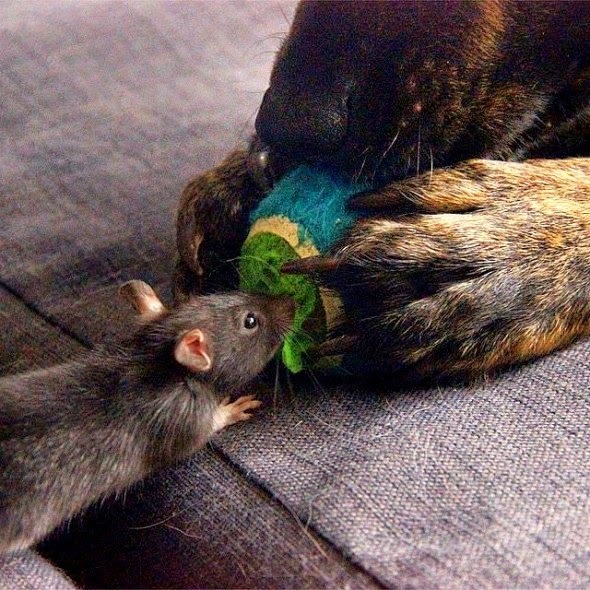 A dog playing with a rat. We had two pet rats and they were amazing. They'd watch tv sitting beside you eating popcorn, curl up on your shoulder and sleep. If they were in their cage and they felt it needed cleaning before you did they would push the bedding out through the bars until it was clean. So beautiful.. 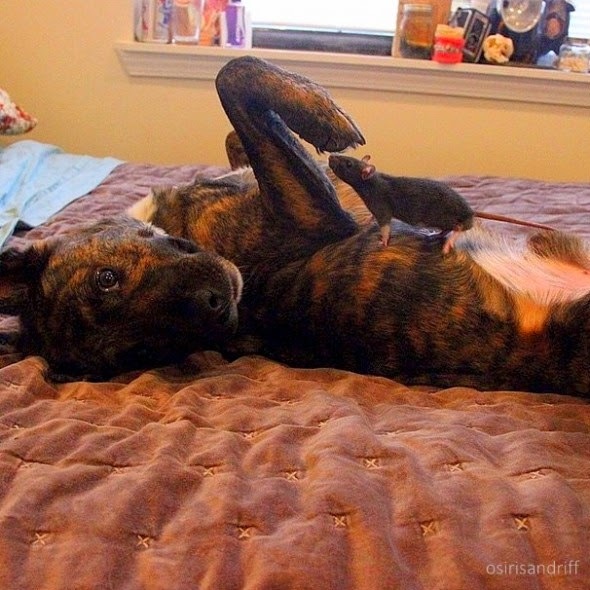 Most creatures, besides two-legged, can relate to affection, trust and companionship. 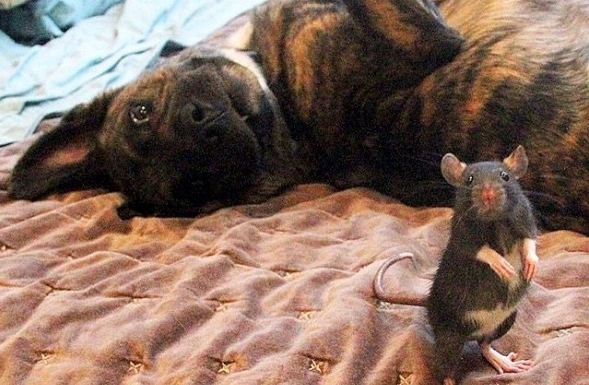 Love these odd-pairing Animal-friends stories. 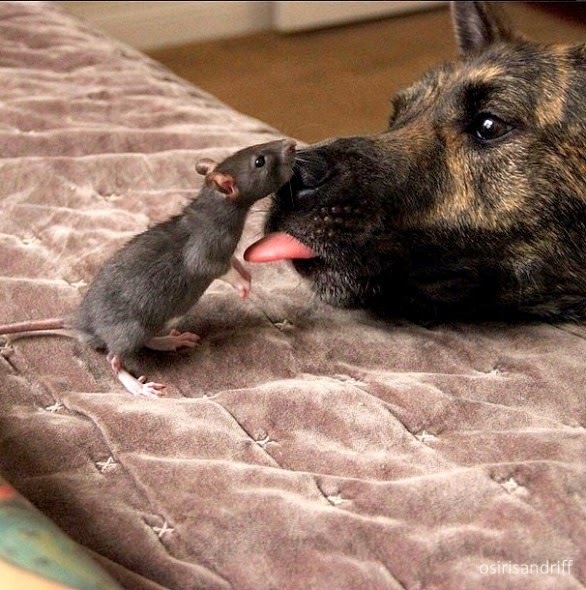 This is the bravest rat I ever saw. 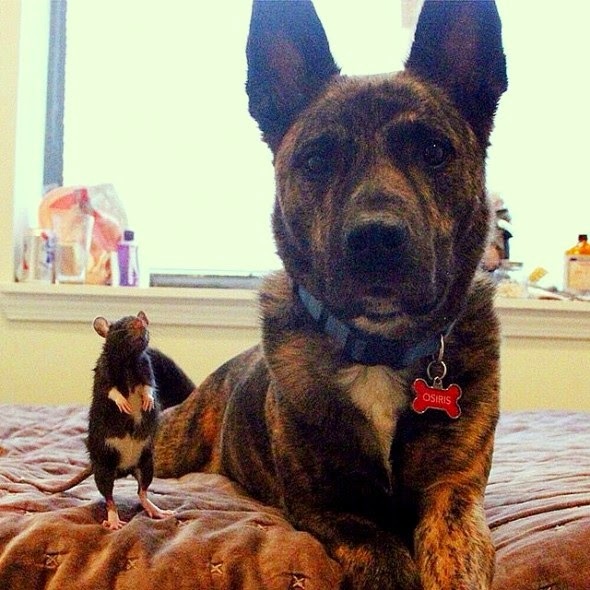 I'm glad that the dog and the rat live well together.